The only face that might be creepier than FCC Chairman Ajit Pai’s stupid mug is the eternally frozen and smiling visage of the Burger King mascot. 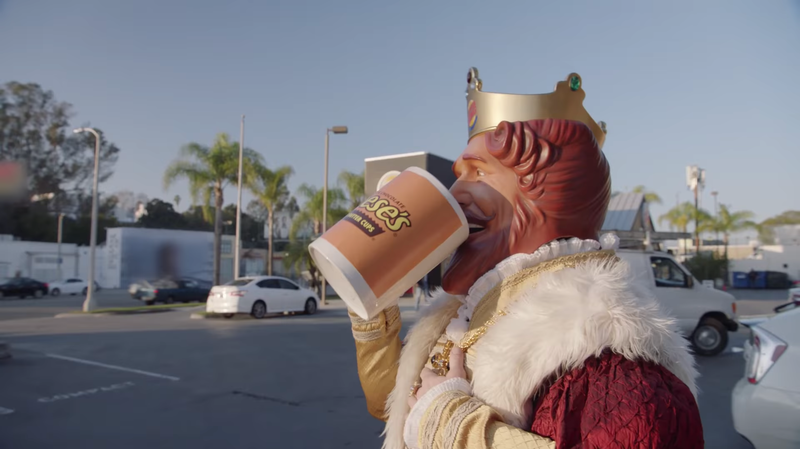 Now the fast food franchise is taking shots at Pai’s decision to repeal net neutrality as well as his literal giant coffee mug. The thing about politics is that brands don’t like to publicly take sides on an issue. Politicians have to do something really nonsensical and unpopular for brands to get involved because they don’t want to risk alienating a portion of their customers. Most Americans support net neutrality because most understand that it’s not a good idea to allow telecoms to pick and choose the content they might want to block or throttle. And if they don’t understand it at first, they tend to do so once they get a little information. As the net neutrality news saturation picked up in early December, just before the Federal Communications Commission’s Republican majority voted to repeal net neutrality protections, one poll found that 80 percent of Americans support maintaining Title II protections. That figure includes three out of four Republicans. This is an easy bipartisan issue. To make its position clear on net neutrality, Burger King filmed a stunt in which it educated “the public” on net neutrality using the Whopper as a metaphor for online content. Yes, the customers just learning about the subject are probably actors, and yes this promotes a fast food chain, but hey, when they’re right, they’re right. The metaphor of having to pay wildly different prices and endure various inconveniences to get the same burger as everyone else is a perfectly fine illustration of the hellscape that the internet could inevitably become if it’s not protected. If you need an explainer for a friend, here it is, flame broiled. 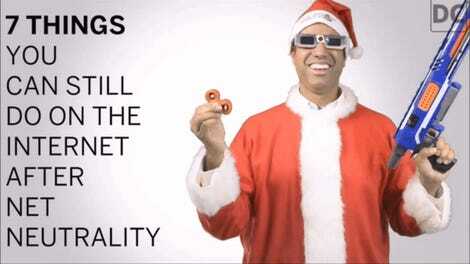 If you don’t, we can all just enjoy the King making fun of Pai’s ludicrous Reese’s mug and remember the times that he’s made a fool of himself without needing anyone else’s help.